Please note: The challenge starts on February 1st, so if you join before then, you won’t be able to report progress until the challenge starts. 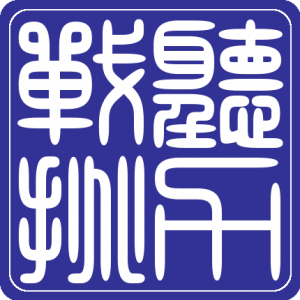 Hacking Chinese Resources – The resource section of Hacking Chinese currently contains 116 resources tagged with “listening”. Many of them are resource collections, where you can find hundreds or even thousands of clips. First select your proficiency level and then listening. It’s hard to know what a reasonable goal is for you, but i think anyone who’s interested in joining should aim for at least five hours of listening. That’s only about 10 minutes per day! If this isn’t your first challenge or you spend a significant amount of your time learning Chinese, aim for at least twice that, i.e. 10 hours. That’s still only about 20 minutes per day, an amount I would consider to be low for someone who studies seriously even outside of a listening challenge. How high you want to go is up to you, but an hour per day on average is not ridiculous. in previous listening challenges, some participants have clocked over 100 hours in one month! Can you beat that? This is the first challenge for 2019, and the goal is to run monthly challenges throughout the year. The length and focus of each challenge will vary a bit, but those of you familiar with the schedule from last year will not see any major changes. Since I believe listening and reading are the most suitable skills for challenges like this one, there will be more of these than last year. In between each listening or reading challenge, we will focus on something else for one month. Here’s a preliminary schedule for challenges in 2019.